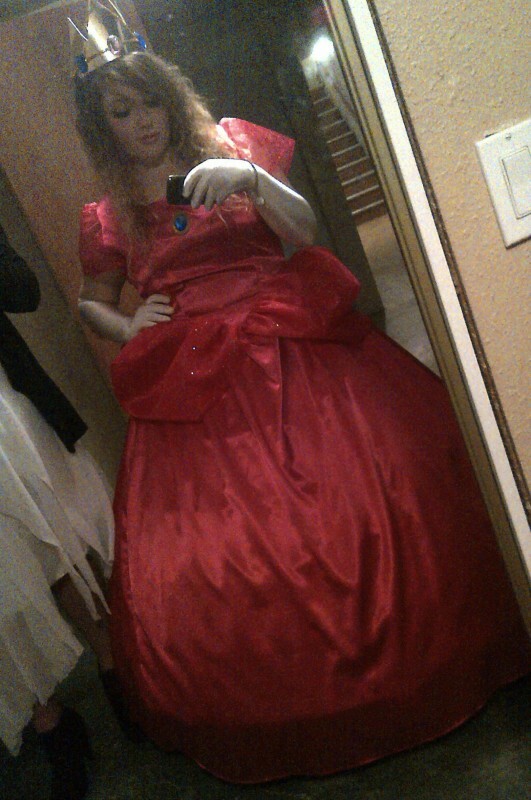 For my 21st birthday (which was conveniently Halloween 2012) my mom and I got together to make by far the coolest hand made Princess Peach costume I have ever had the chance to wear! Unfortunately, neither my mother or I had any experience in costume making or sewing so we bit off a lot to chew. At some points we completely sewed the wrong thing and had to go through the tedious process of taking the stitches apart. During late nights we would realize that our giggles came from lack of sleep and probably shouldn’t continue working on the costume. Eventually we finished this massive dress! It was a fun and interesting experience that aided in me totally rocking my 21st birthday! I was worried not a lot of people would recognize my character but that wasn’t an issue at all! I had more compliments (so many that I might have to try this again next year) than ever before! We had truly outdone ourselves and I couldn’t have done it without my wonderful mother! 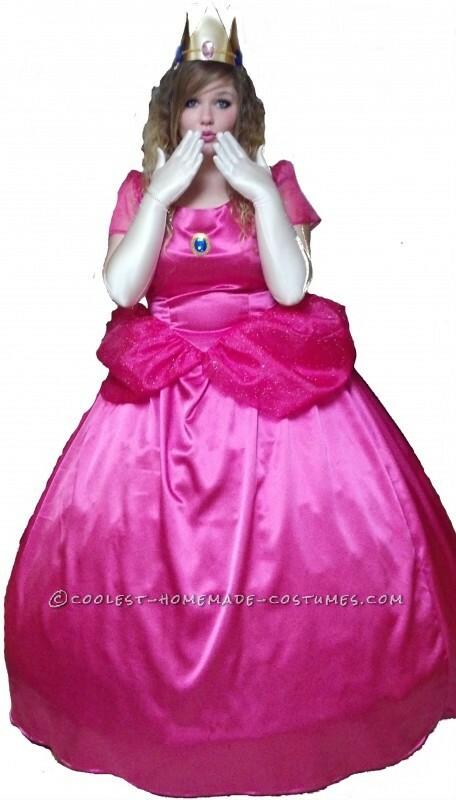 The handmade parts of the costume include blue earrings, the crown, and the dress itself. We added a hoop skirt that ended up being 4 feet in width and the long white gloves. I was lucky enough to wear comfy shoes since the dress went all the way to the ground. As a side note, she also made my brother’s costume which was Donkey Kong. That one didn’t take nearly as much effort even though it’s still a cool costume! Its such a lovely costume, I wish you’d described how you made it in more detail, not how much everyone liked it. Lovely dress, exactly what I’m looking for, but not very helpful. Sorry!